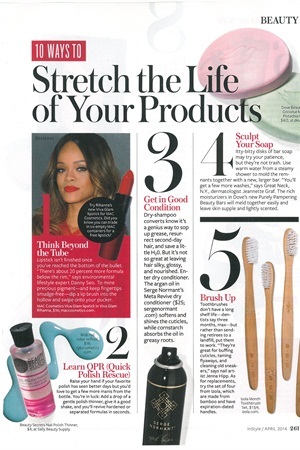 The April 2014 issue of InStyle Magazine gives an expert tip for QPR (Quick Polish Rescue). Just add a drop of polish thinner to your favorite, yet hardened or seperated polished, give it a good shake, and paint away! The thinner pictured is Beauty Secrets Nail Polish Thinner.